Initial Functional Medicine Consultation Package (includes initial assessment and 2 follow-up visits). “The Medicine of Why — the more you ask why, the closer you are to understanding” ~ David Haas, MD. 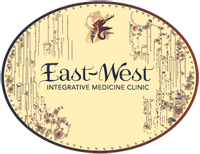 Functional medicine is very much like Traditional Chinese Medicine in that it is a holistic approach to diagnosis and treatment. From a western view there is an understanding of how all organ systems work together and rely on each other for optimal functioning. Treatment includes an emphasis on healthy nutrition, meaningful relationships, daily movement, self-care & awareness, and work /life balance. Professional Recommendations for additional diagnostics & interventions. Follow-up visit – consult on current progress, review any additional labs and discuss treatment options. Follow up visit schedule is individualized based on your specific needs.